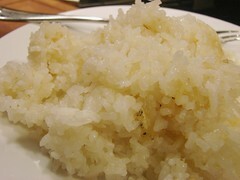 What about a recipe of coconut BASMATI rice?? 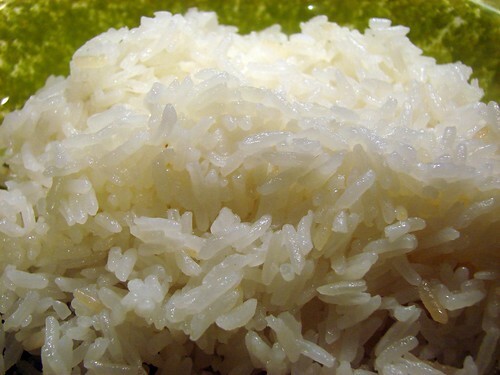 I think the smell and flavor of basmati is just amazing. Try it along with cashews and raisins. Linz was just asking me to make some Basmati. 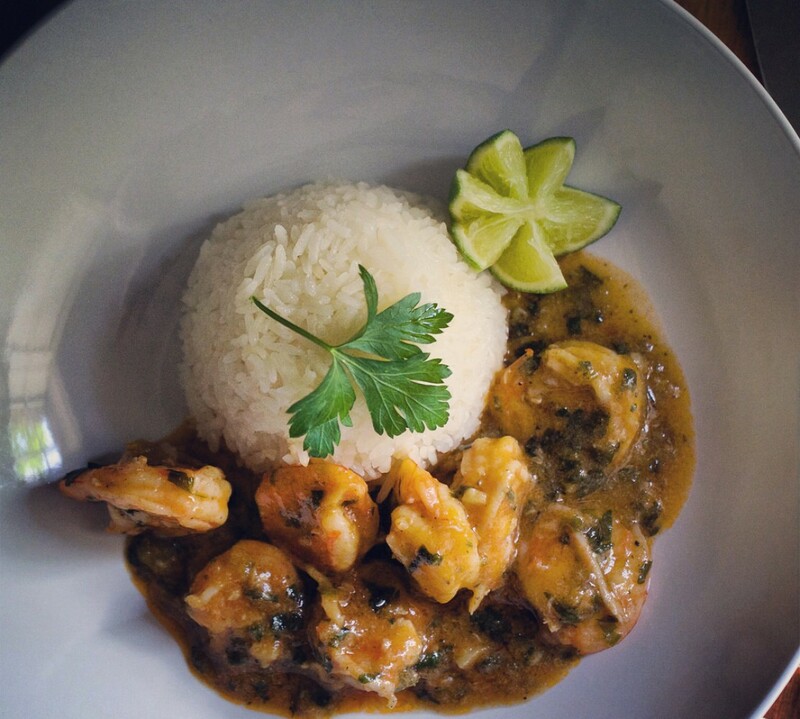 An Indian friend’s mom taught me how to do their simple style, but coconut milk in it sounds amazing. My little brother doing me proud! I still haven’t posted our Arroz con guandu or yellow rice or arroz con pollo. So much to post! The ratio is more like 1 cp rice x 1.5 cps water and steam longer. She’s so right about the 2 to 1 ratio on rice. 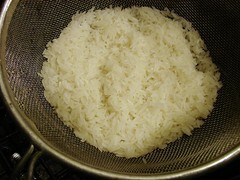 Once I figured that out I became a rice making feind. 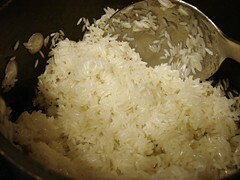 I make the perfect pot of rice every time. Glad you liked it and even glad’er you stopped by!